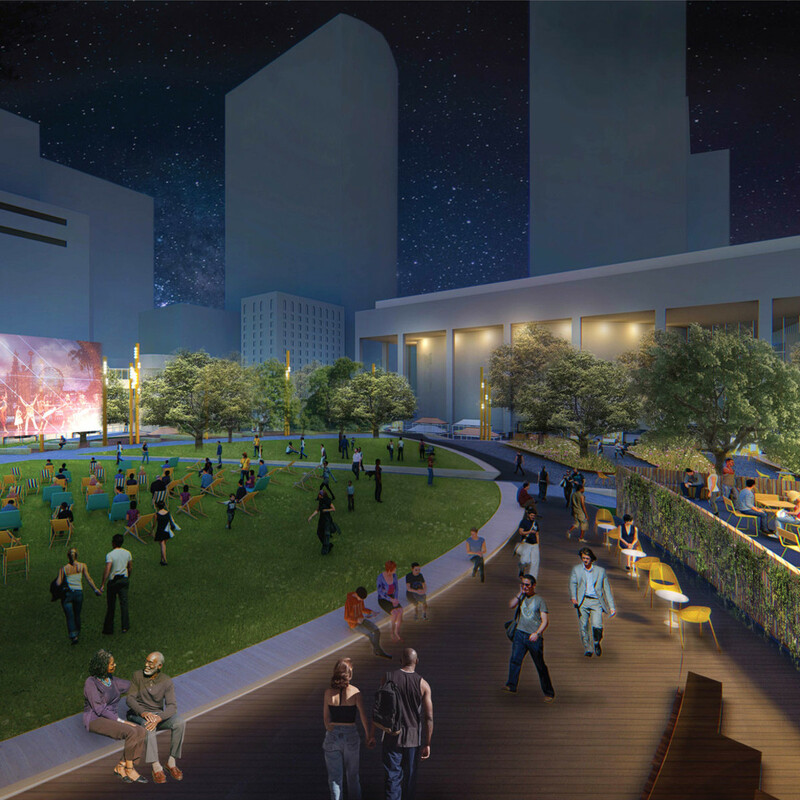 It’s been known as a weekly party spot, a parking lot, and was once even derided as a “toilet” due to the trademark blue-tile walls, but the downtown mainstay that is Jones Plaza will soon be transformed into a premiere urban dining and performance Theater District destination. 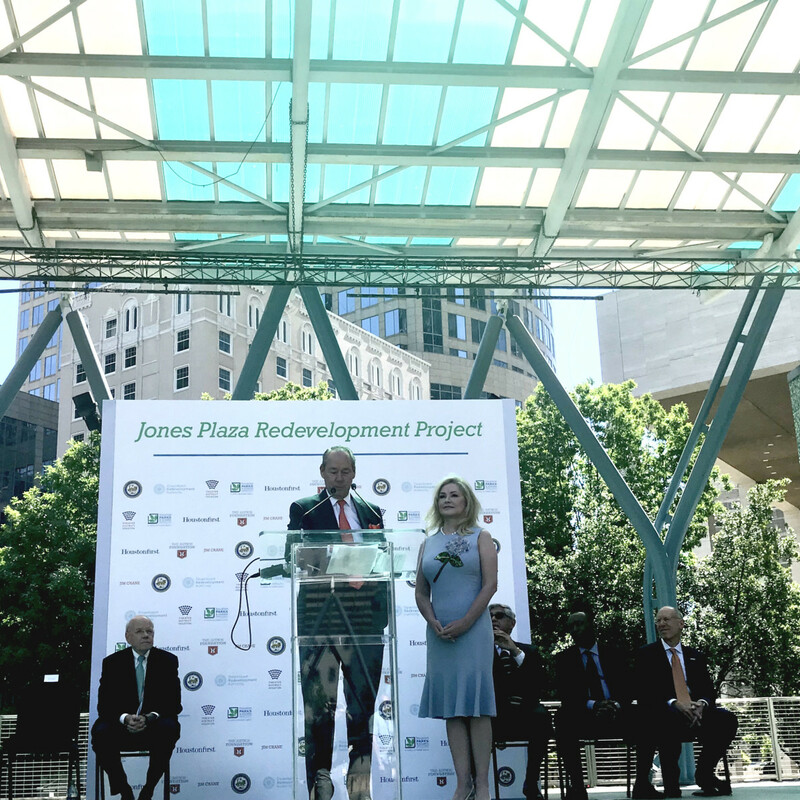 The Houston First Corporation, and a group of civic leaders including Mayor Sylvester Turner and Astros owner Jim Crane and his wife, Whitney, have announced redevelopment plans for Jones Plaza. 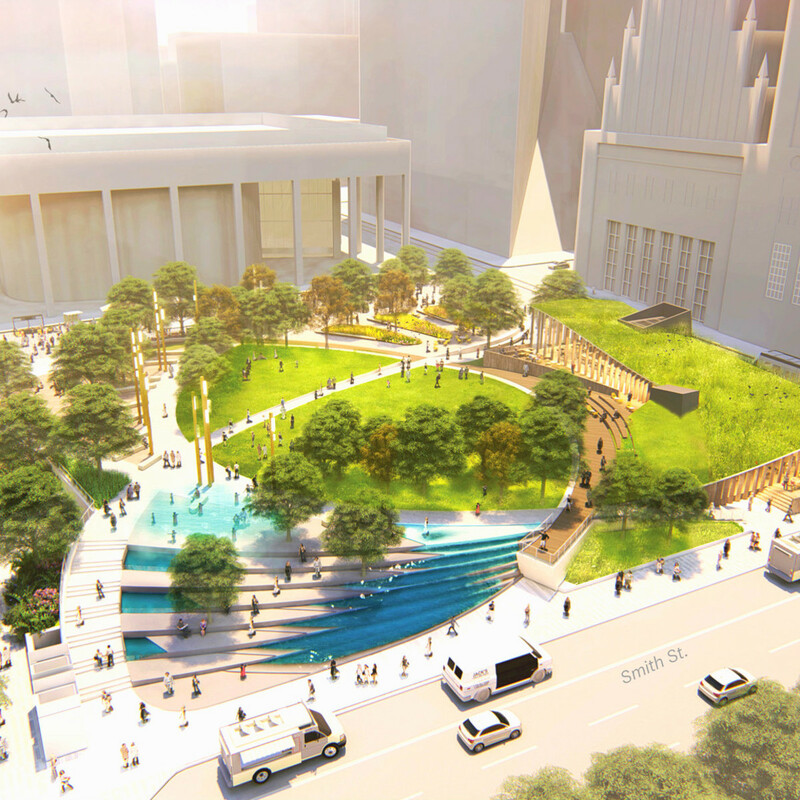 The plans envision a sort of Discovery Green — west. 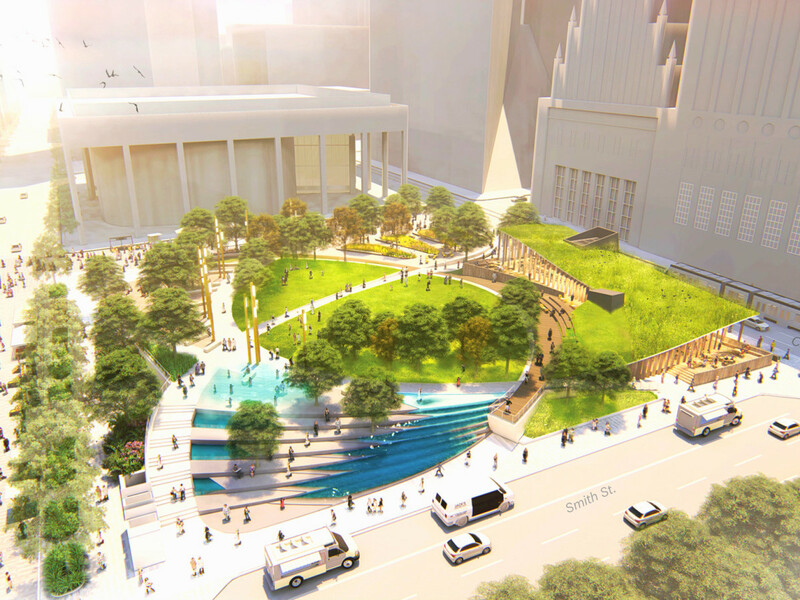 Expect a flowing water element, an informal, flexible performance space, new pathways, and a stairway and an elevator to connect the park to Capitol Street. Designs also call for a 4,000-square-foot dining facility that offers a fast-casual counter and seated, upper-casual service for breakfast, lunch, early, pre-theater dinner, as well as post-theater dessert and drinks. 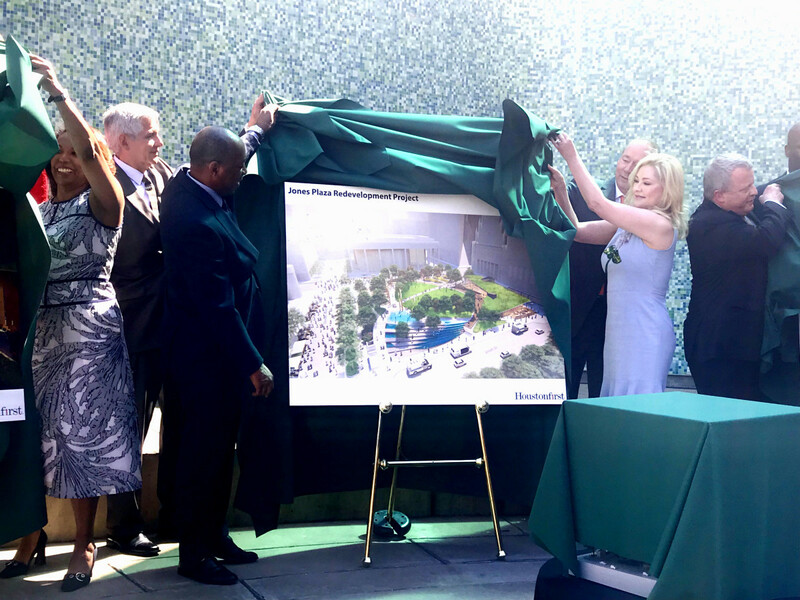 The facility will also feature a transparent building skin with indoor and outdoor seating, a shared kitchen facility and restrooms, as well as private event spaces that can be rented to the public. 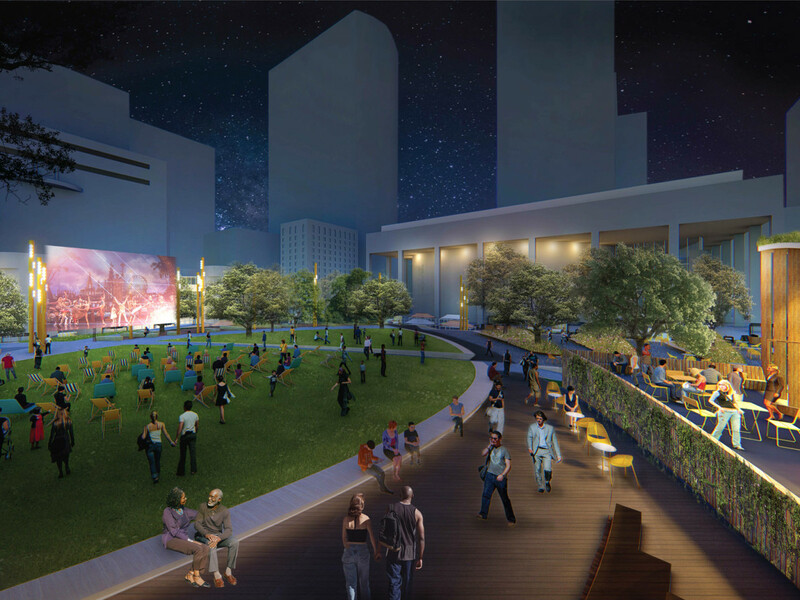 “We want to bring that suburban feel to the inner urban core of downtown,” Mayor Turner tells CultureMap. 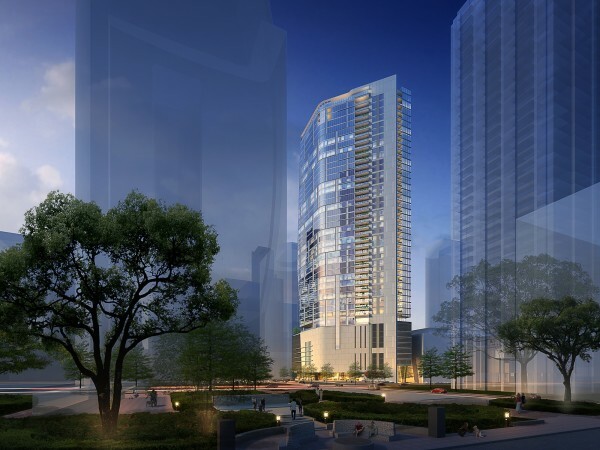 Los-Angeles-based design firm Rios Clementi Hale Studios, was selected to lead the project, which will begin in May 2018 and is slated for completion in November 2020. The redevelopment will cost more than $20 million, most of which will be raised privately. 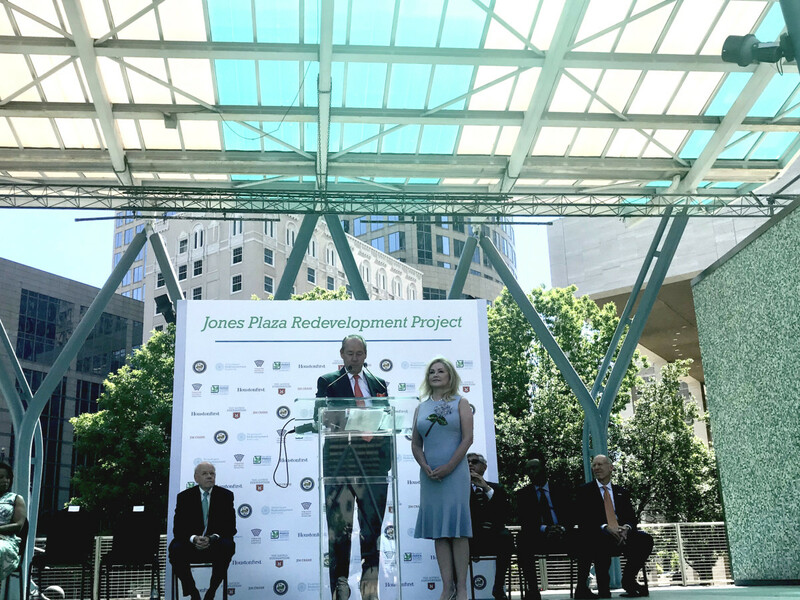 The redevelopment of Jones Plaza is a result of a partnership between the City of Houston, Houston First Corporation, and the Downtown Redevelopment Authority. 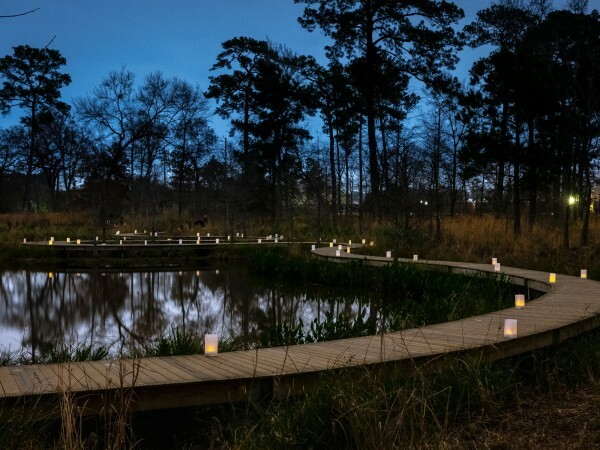 Crane and the 2017 World Champion Astros’ Foundation are the leadoff hitters in the fundraising campaign, of which Crane has committed $1 million and received a $5 million commitment by Bob Eury on behalf of the Downtown Redevelopment Authority. 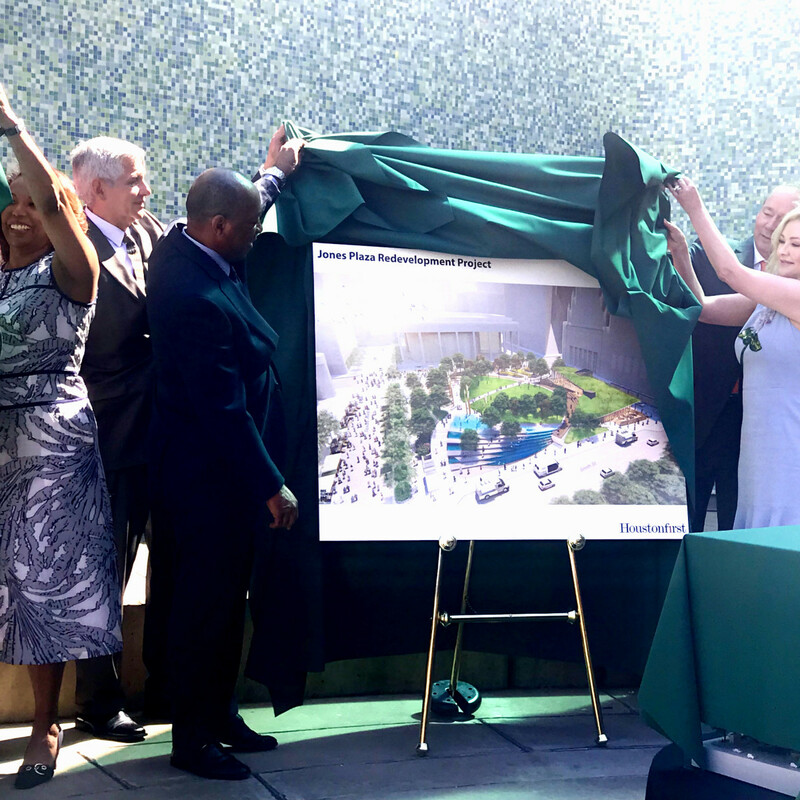 Although Houston is buzzing with news of a $70 million Memorial Park makeover, Mayor Turner acknowledges the mentality that has tradionally turned Houstonians off of downtown: “If you don’t work downtown, why come downtown?” But he points to development on the east side, such as Discovery Green, and how it changed the perception of the area.